The present study deals with the formulation of topical insulin for wound healing with extended stability and sustained release, by applying quality by design concepts. Insulin has been promoted as a promising therapeutic wound healing agent. Topical formulation of insulin faced major problems, as it cannot be delivered safely to the wound with a controlled rate. Formulation of insulin-loaded vesicles in optimized bio-adhesive hydrogels has been explored to ensure a safe delivery of insulin to wounds in a controlled manner. Quality by design (QbD) was applied to study the effect of several critical process parameters on the critical quality attributes. Ishikawa diagram was used to identify the highest risk factors, which were screened by a fractional factorial design and augmented by Box–Behnken design. The optimized formula was incorporated into a mucoadhesive gel, which was further subjected to stability and clinical studies. An optimized formula was obtained with a particle size of 257.751 nm, zeta potential − 20.548 mv, 87.379% entrapment efficiency, and a release rate of 91.521 μg/cm2/h. The results showed that liposomal insulin remained stable for 6 months in aqueous dispersion state at 4°C. Moreover, the release was sustained up to 24 h. The clinical study showed an improvement in the wound healing rate, 16 times, as the control group, with magnificent reduction in the erythema of the ulcer and no signs of hypoglycemia. 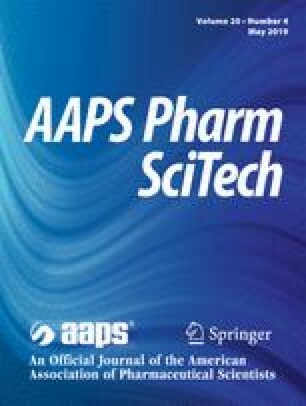 Insulin-loaded liposomal chitosan gel showed a promising drug delivery system with high stability and sustained release. This work was supported by the October University for Modern Sciences and Arts (MSA), Egypt. The study protocol was explained to the patients before obtaining the informed consent and after approval from the ethical committees of MSA University and Cairo University. All procedures followed were in accordance with the ethical standards of Helsinki Declaration. Marwa H.S. Dawoud, Nadia M. Morsi, Dalia M. Ghorab, and Ghada E. Yassin declare that the insulin-liposomal is registered in the Egyptian patency office (1072/2017). However, this does not alter the authors’ adherence to all the journal’s policies on sharing data and materials. This research did not receive any specific grant from funding agencies in the public, commercial, or not-for-profit sectors.